confess feelings and give honest feedback! 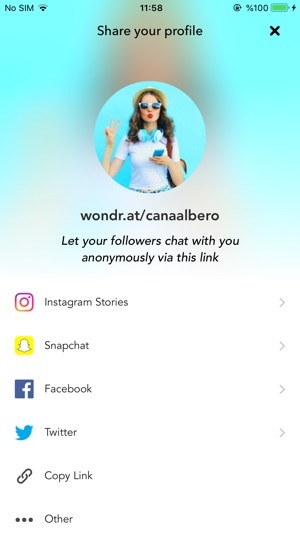 Share your profile to get anonymous messages on Wondr! 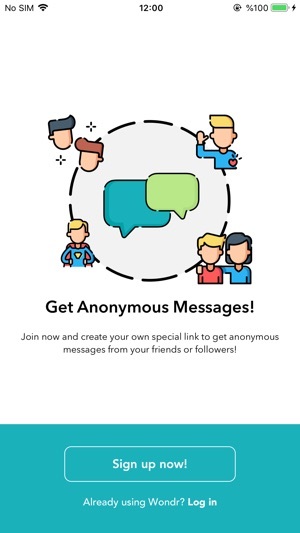 •	Let your friends chat with you anonymously through Wondr. Your friends will be anonymous and only you can see their messages! Coolest anonymous chat platform ever! Just you, your anonymous friends and their astonishing questions!